I opened A Perfect Pear Boutique in 2006 and have been creating perfect looks with the help of my Personal Stylists. I have the pleasure of traveling to markets and the hottest fashion spots in the U.S. to hand pick all of our designer lines. At A Perfect Pear Boutique, we offer an experience. The moment you step in is like walking into your dream closet. We carry the same designer lines that are coveted in metropolitan cities like New York, Los Angeles, and Chicago. Save yourself a trip to Nordstrom or Neiman-Marcus and enjoy a day in Peoria Heights! My stylists and I have truly enjoyed the opportunity to inform our community on what true boutique shopping is all about. 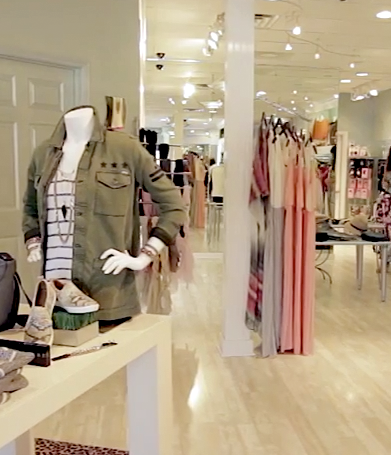 Stop by A Perfect Pear Boutique and let us assist you in our relaxed atmosphere where your shopping experience is all about your personal style!